Cold fusion is a type of nuclear reaction that would occur at, or near, room temperature, compared with temperatures in the millions of degrees required for "Hot Fusion". 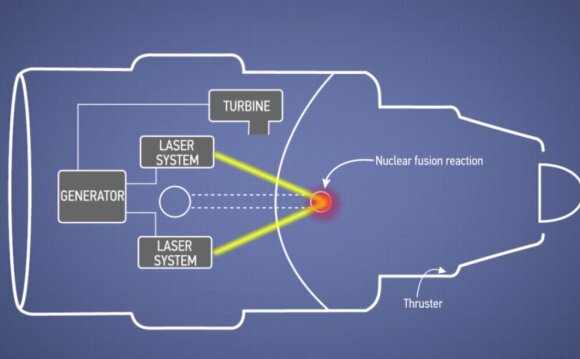 Cold Fusion is the collective label for any apparatus that enables non-toxic and radiation-free nuclear reactions, based on low energy, whereby elements fuse together forming new elements, producing excess heat and energy in the process. In Japan, cold fusion is called New Hydrogen Energy, and that oil-dependent nation welcomes successful experiments. In contrast, two pioneering experimenters were hounded out of North America; where David Lewis described this scene as the Heavy Watergate in Atlantis Rising, issue two. Update: A successful experiment was served up in Monte Carlo in April, at the Fifth International Conference on Cold Fusion. Clean Energy Technologies Inc. of Florida demonstrated a cold fusion cell with energy output as much as ten times more than input. Other companies are also experimenting with this new source of heat energy, which could drive electric generators. What exactly causes atomic nuclei to fuse, and release energy, without extreme high temperatures and pressures? A Romanian physicist writing in Infinite Energy magazine, Dr. Peter Gluck, wonders if it could be only partly a catalytic nuclear effect, and partly a catalytic quantum effect providing the capture of the zero-point energy, the ubiquitous z-p energy. This was gathered April 20th 2009, roughly 20 years after the initial 1989 press conference where their findings were shot to shreds, instead of the scientific community pulling together and trying experiments to make it work. Cold fusion has been called the ideal source of energy: it does not pollute; the fuel is inexhaustible; it is potentially thousands of times cheaper than conventional energy; and it is compact. “Compact” means both energy and power density are high. Gram for gram, energy density appears to be about a million times better than oil, coal or other chemical fuel; a single, small charge of heavy water fuel will last for decades. Power density is at least as good as a uranium fission reactor core, but fission requires gigantic, heavily shielded, centralized reactors, whereas cold fusion engines will probably be as small and light as gasoline engines.